Many fluctuations in option premium that can happen in the market are due to a important option pricing concept called cost-of-carry. It is necessary to understand what cost-of-carry is because it affects all types of option trading strategies. Cost-of-carry is equivalent to the cost of holding a position in a stock over a period of time. The factors included are a risk-free interest rate, borrowing rate, and dividend. The risk-free interest rate is the cost (or benefit) of executing a cash transaction for stock. If a trader spends $1000 on 100 shares of stock, they are essentially giving up on the interest they could receive by holding that cash. Conversely, if a trader shorts 100 shares of stock and receives $1000, they can expect to gain interest on the cash they receive for shorting the stock. The longer a trader holds a position, the more this interest rate adds up. For this reason, traders actively watch interest rate announcements from the Federal Reserve -- any change in interest rate can have a significant affect on both the stock and options markets. Hard-to-borrow rate is a fee paid by a trader to a stock lender in order to short shares of the stock. In some cases, this rate is negligible, as shares are widely available. However, if there is a limited number of shares available to short in the marketplace, lenders can start to charge increased rates for lending the stock to traders. These rates can change over time, so it represents a risky variable for both stock and option trading. Dividends are payments made by a corporation or stock issuer to the shareholders of its stock. Traders who have long positions in the stock receive payments, while traders who have a short position are forced to pay these dividends out. 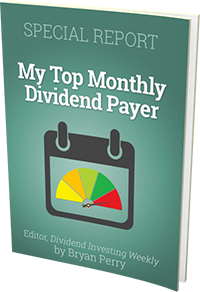 Option prices typically incorporate an estimated dividend amount for stocks that regularly pay dividends. This estimate is based on past results or any guidance announced by the stock issuer. Traders will often by or sell options based on perceived inaccuracies with market dividend estimates. Now that we see how these changes can affect option prices, it's valuable to take a look at the strategies that option traders use to take advantage of these changes. You can learn more about that in the next section, dealing with Synthetic Stock Positions.